Game rangers choose a life that is often in the remotest wilderness, where communication is minimal and resources are scarce, to dedicate themselves to Africa’s natural resources. Family life and luxuries are usually sacrificed in their efforts to protect a natural heritage that is fast depleting. The role of an African game ranger today is far removed from what it once was. 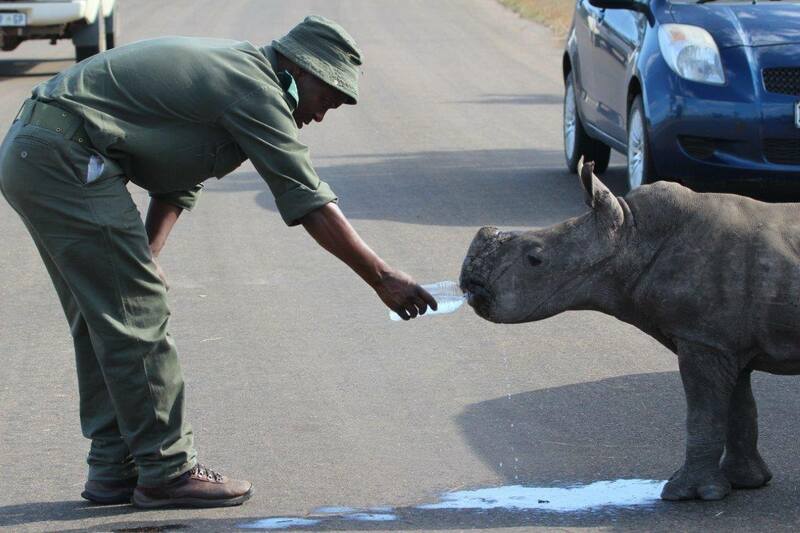 Previously, game rangers spent most of their time involved in conservation tasks and ecological management. While these duties are still required today, the anti-poaching war often consumes the majority of their time. Throughout Africa, rangers are up against crime syndicates that equip poachers with dangerous weaponry used in modern warfare, such as hand grenades, rocket-propelled grenades (RPG-7s) and AK47s. And most poachers are prepared to kill anyone who stands between them and high-value items such as rhino horn and ivory. Don English, the regional ranger of the Marula South Region in the Kruger National Park, says rangers definitely do not choose the career due to the prospect of killing another human being. “It is important not to forget that, as conservationists, we don’t come from a background of killing people,” he says. The constant pressures rangers face today can have serious implications if not adequately addressed. Their well-being cannot be taken for granted if efforts to protect natural heritage are to succeed. Acute stress disorder, burn-out stress and post-traumatic stress disorder are some of the health conditions rangers face if they are not properly cared for in this bush war. In South Africa, rangers are targeted by heavily armed rhino poaching syndicates. An average of 12 different poaching groups are active in the Kruger every day, according to the anti-poaching task team based in the national park. In Central and East Africa, rangers come into regular contact with ivory poachers linked to organised crime syndicates that are reportedly funding terrorism. Research indicates that at least 25 rangers were killed in Africa between April and August 2015. In August alone, 19 rangers were killed in the Democratic Republic of the Congo. Sean Willmore, president of the International Ranger Federation, says many ranger deaths in Africa go unrecorded. While the federation has been monitoring ranger deaths since 2000, “unfortunately the actual number of deaths is estimated to be two to three times higher”. Chris Galliers, chairman of the Game Rangers Association of Africa, says if their well-being is not prioritised, the attrition rate of rangers may increase, resulting in disastrous consequences for natural heritage. “If we lose any more rangers, we will be going backwards by about eight years and we don’t have time for this to be the case,” says Galliers. In an effort to help rangers cope, the association works closely with trained psychologist Rethea Myburgh-Fincham. She specialises in post-traumatic stress disorder and has worked with many rangers exposed to rhino poaching in the greater Kruger area. Acute stress disorder describes reactions that occur in the initial month after exposure to a traumatic event, and before the possibility of diagnosing post-traumatic stress disorder. Burn-out stress is a state of emotional, mental and physical exhaustion caused by excessive and prolonged stress, and occurs when a person is overwhelmed and unable to meet constant demands. Myburgh-Fincham says post-traumatic stress disorder is more prevalent among rangers than anybody realises, and emphasises the need to take proactive steps to combat it. Post-traumatic stress disorder is usually the result of experiencing, either directly or indirectly, a threat to oneself or witnessing a threat to others, with feelings of intense fear, helplessness and horror. Symptoms include flashbacks, nightmares, severe anxiety, as well as uncontrollable thoughts about the event, often resulting in self-destructive behaviour or dangerous behaviour towards others. Even with the right treatment, only about 30% of people recover completely from post-traumatic stress disorder. Rangers are often not in the position to receive a correct diagnosis, or the required professional attention and other support needed to deal with the condition. Besides dealing with armed skirmishes while on patrol, rangers are often exposed to harrowing scenes of animals butchered by poachers. When not on duty, field rangers and their families are often intimidated by people within their communities who form part of the poaching circles. Veteran Kruger ranger Louis Olivier recalls how one ranger was in a coma for a month after being brutally assaulted by a poacher’s family outside the park. Olivier, who recently retired after working in the Kruger for 45 years, is of the opinion that all rangers should visit a psychologist at least once a year. Related treatments should be covered by rangers’ medical aid and should not be a private expense, he says.